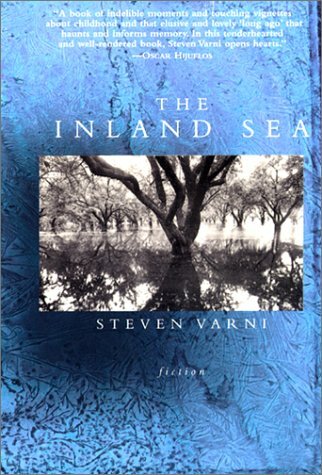 The Inland Sea is a beautifully written, poignant novel told in a series of twelve intricately connected stories depicting twenty-five years in the life of Vincent Torno and the extremes of family and landscape that shape and haunt him. Vincent is the youngest child in an Italian-American family living in California's San Joaquin Valley. With a World War II veteran--businessman father whose conception of a logical, ordered world is both oppressive and reassuring, and a mother whose never-discussed mental illness and recurrent breakdowns crash through the family like waves, Vincent is a boy whose desire for understanding is particularly acute. But as he moves farther out into the world--to the Midwest, Seattle, Manhattan--he finds it hardly more comprehensible than his own family. And even that which seemed most stable--the landscape of his once-agricultural hometown--is transformed with disorienting rapidity. Rich and vivid, The Inland Sea chronicles Vincent Torno's twisting journey to a time when he finally comes to grips with the hard, hazardous, and always unsettling work of love and forgiveness. Rich and vivid, The Inland Sea chronicles Vincent Torno's twisting journey to a time when he finally comes to grips with the hard, hazardous, and always unsettling work of love and forgiveness.The Inland Sea is a beautifully written, poignant novel told in a series of twelve intricately connected stories depicting twenty-five years in the life of Vincent Torno and the extremes of family and landscape that shape and haunt him. 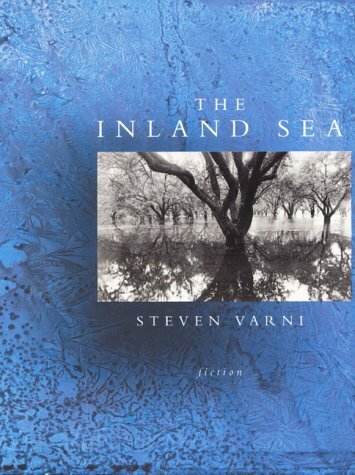 Steven Varni is the former book buyer and manager of the late Books & Co. bookstore in New York City. A graduate of the University of Notre Dame and the University of California-Irvine (M.A. ), he was born and raised in Modesto, California. He lives in New York, New York, and Aptos, California, with his wife and is working on a new novel. In his impressive debut, Varni charts a boy's coming of age in a troubled Italian-American family, while simultaneously creating an almost photographically explicit picture of a changing community. Vincent Torno is seven years old in the first of the 12 interlocked episodes that make up the novel. Vincent's father, Paul Torno Sr., bought a house in the San Joaquin Valley town of Ralston, Calif., right after WWII, when the area was surrounded by fields and orchards that thrived in what once was an inland sea. Over the decades, a superhighway, housing developments, a mall and a shopping center irrevocably alter the community's cohesion, a change paralleled in the Torno family's embattled relationships. Paul Torno is an impatient, stubborn, sarcastic martinet, with an Old -World work ethic and a temper that terrifies his wife and three children. His wife, Lucy, is a weak, disorganized and emotionally unstable woman whose frequent mental breakdowns require her hospitalization. Vincent's perspective on his family's flawed dynamics deepens as he becomes aware that several of his childhood friends have even more destructive domestic lives. His memories and insights, chronicled in first- and third-person vignettes, are grouped in two sections: Innocence and Experience. In graceful prose studded with keenly observed details, Varni conveys the inchoate impressions of childhood and youth, especially "the constricting sense of fear and duty and guilt" that will always haunt the Torno siblings. While he effectively sustains the edgy atmosphere of a family under stress, however, Varni fails to establish tension and narrative momentum. Although some entries, especially "Snow," which is set at the Midwestern Catholic university that Vincent attends, escape the air of brooding inertia, most have the same circular movement as the recurring cycles of Lucy's breakdowns. In the moving, final chapter, however, Vincent achieves a sense of reconciliation, an understanding of the inescapable shadow of the past in the present, "the air of each memory all around me, vague and palpable." Varni is obviously a talented writer who can sensitively depict the inner lives of those caught in complex family dynamics. (Mar.) FYI: While writing this novel, Varni worked at Books & Co. in Manhattan.